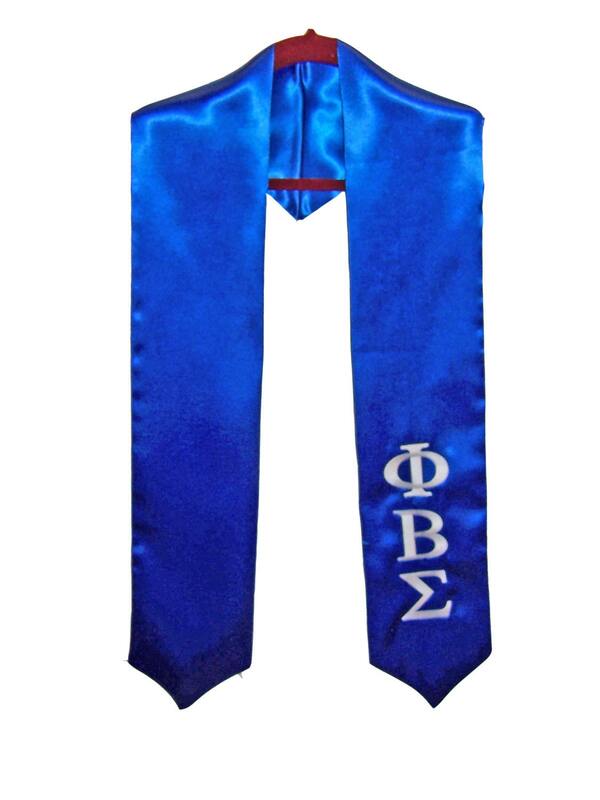 Satin Graduation/Clergy/Choir Stole embroidered in color of your choice with Greek Letters (up to 4) (vertically) on left side and year(i.e. 2017, etc) (vertically) on the right side. 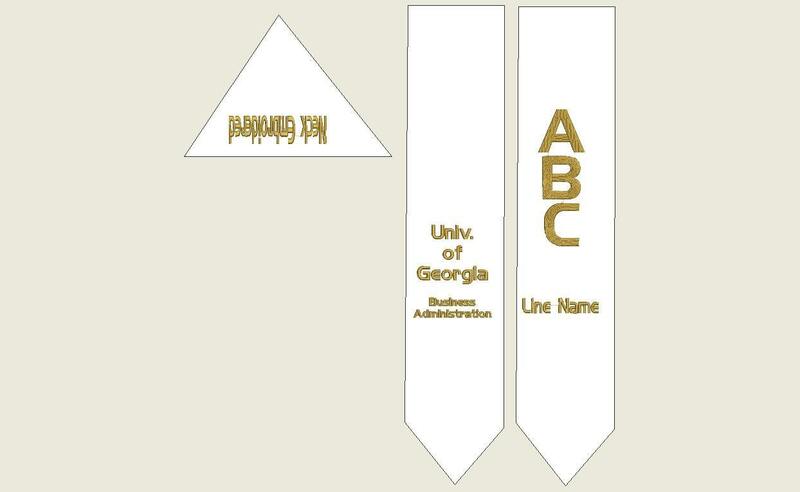 Perfect to use on graduation day to show off your letters - great keepsake to recognize/celebrate your graduation. 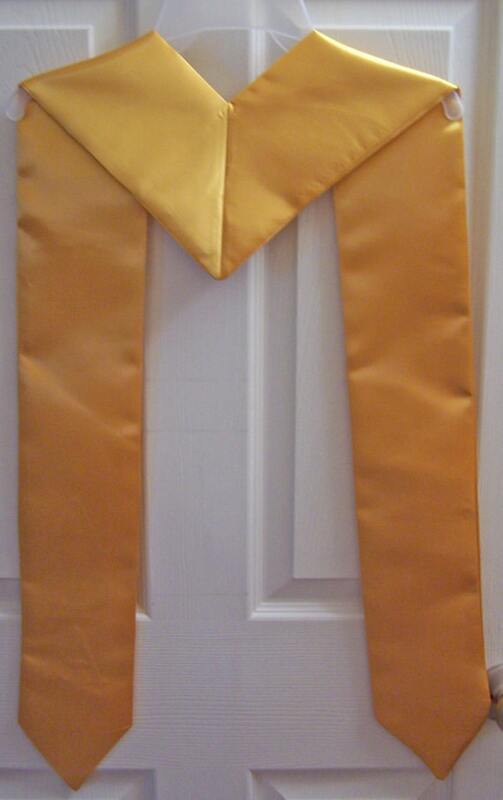 100% Polyester Satin Graduation Stoles approx. 36" X 5" on each side. Pointed tips and back. Stoles are one color only. Please send a message with your order indicating: Desired Embroidery for the appropriate sides. If requesting a shield or graphic please include a JPEG of it with your order. 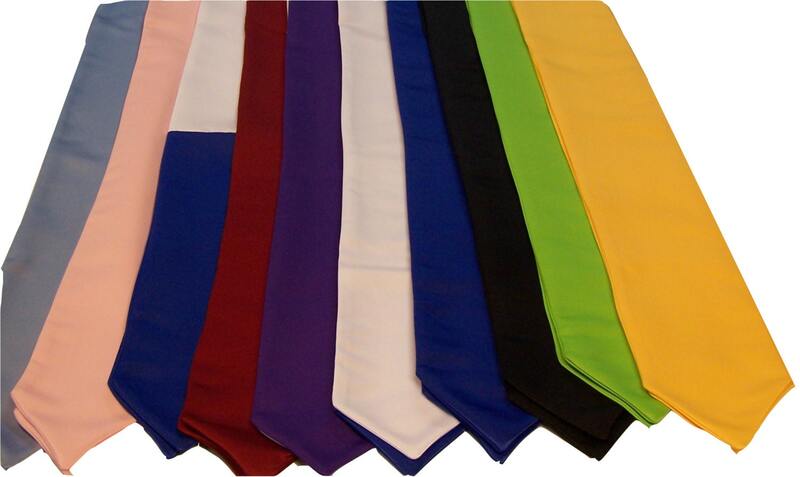 GROUP DISCOUNTS: We discount orders of 8 or more stoles. 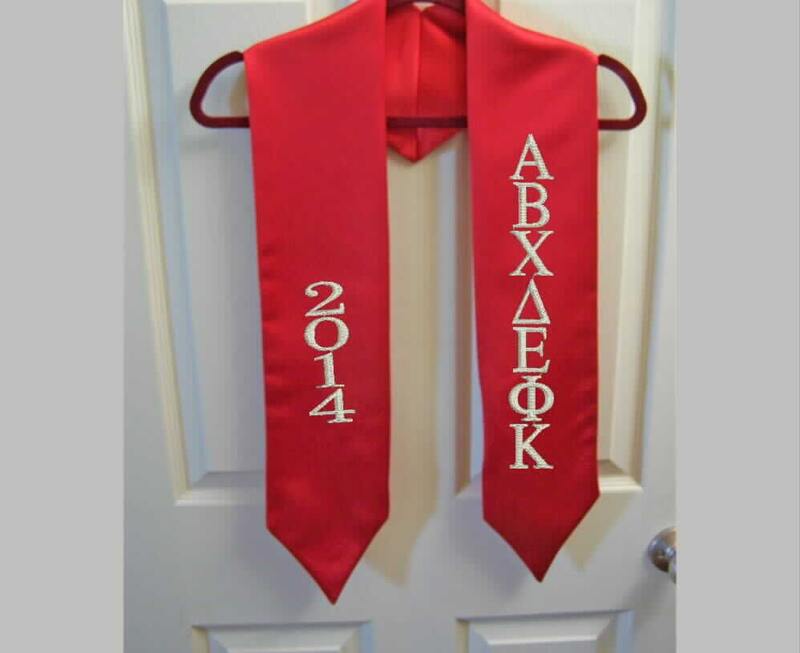 Please message us with your requests, number of stoles, need by date, colors, etc. We will set up a Special Listing for you with the discounted price. All items must be shipped at the same time to the same location. * Shield or Crest will need to be digitized for embroidery. Please allow an additional 5 business days for that process to be completed. It's perfect! Exactly what I wanted! Thank you so much!! Ordered two monogrammed stoles and they both look great! Thanks so much! This stole was perfect! I got so many compliments on it. If I ever need to buy a stole again, this is the place to get it! Awesome. I waited until the last minute because we were not sure if they would cross in time for graduation. It was perfect.